Do You Have Irritable Bowel Syndrome Or IBS? 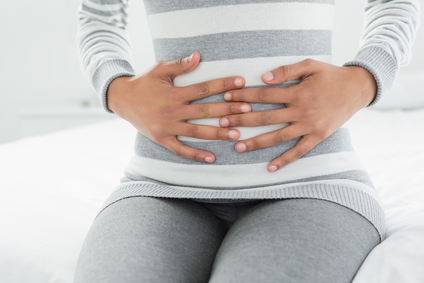 Irritable bowel syndrome or IBS is a common gastrointestinal disorder especially in women and is a very common cause for a doctor’s appointment. It has also been called mucus colitis, spastic colon and irritable colon. IBS is a chronic condition that can cause a host of digestive disorders that can be constant or intermittent, mild or severe. You may have abdominal pain, bloating, gas, diarrhea or constipation, or both. Medical science hasn’t figured out what specifically causes irritable bowel syndrome (IBS), which is why it is called a functional disorder. Most probably your doctor will order a list of investigations to exclude other serious causes with similar symptoms such as inflammatory bowel disease and intestinal cancer. Once these have been excluded, most doctors will tell you that this is a condition that you have to live with and all they can do is treat the symptoms using antispasmodic drugs, antidiarrheal drugs and drugs to regulate intestinal motility. 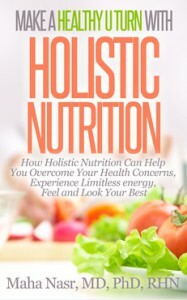 From a holistic nutrition perspective, several factors have been implicated in causing IBS such as food intolerances, abnormal bowel motility, imbalance of good bacteria in the intestine, abnormal serotonin levels and nervous system dysfunction. Since women are two to three times as likely to get irritable bowel syndrome (IBS), hormonal changes may also play a role. In many cases IBS is increased or intensified by stress. Several studies have drawn a correlation between food sensitivities and IBS. The most commonly implicated foods include wheat, dairy, sugar and artificial sweeteners. In my Oakville-based holistic nutrition practice, I see many cases of irritable bowel syndrome or IBS. A customized holistic nutrition approach has proven very effective in managing symptoms of IBS through implementing a number of dietary strategies, natural supplements and lifestyle measures. Eat small frequent meals, chew your food thoroughly and eat slowly. This will help improve your digestion and improve bowel function. Gradually increase your fiber intake in the form of fiber rich foods such as oats, brown rice, ground flaxseeds, psyllium and vegetables. This will help regulate bowel function and reduce constipation. Reduce your stress levels by doing daily mediation, prayers, yoga and exercise.Drinking a warm cup of chamomile tea before sleep is also helpful to relax and for IBS symptoms. Stress has been found to increase the symptoms of IBS. If any of your family or friends is struggling with irritable bowel syndrome or IBS, please share this article with them. Sharing is caring! If you need more help with your nutrition and health call us at 416 876 4634 to book an appointment or sign up for a FREE Clarity Session with Oakville holistic nutritionist Dr Maha Nasr to discuss your health concerns and see how we can help you.